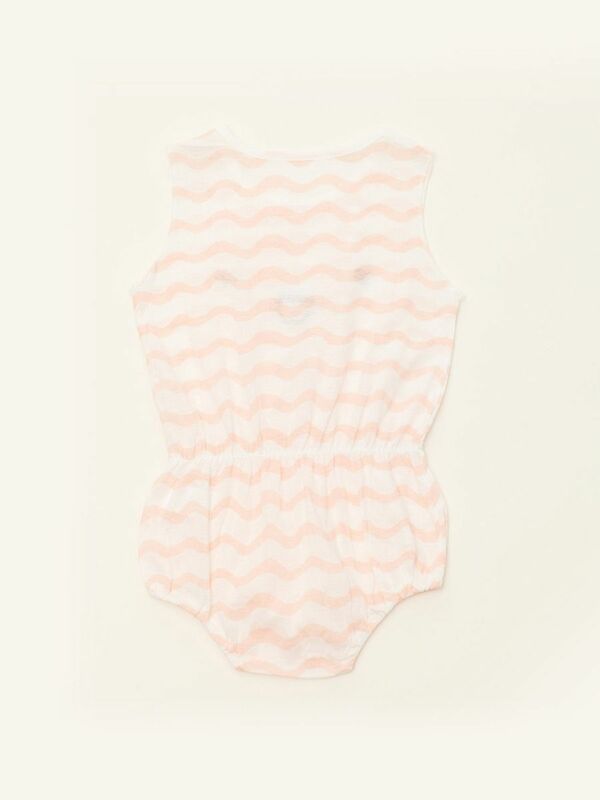 Soft coton sleeveless baby romper. Round neck with two snap buttons on one shoulder. Three snap buttons at the bottom for easy nappy change. Pink wave pattern with a smiley face in the front.